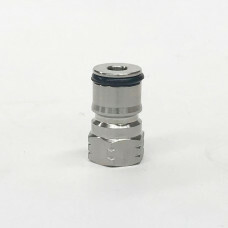 A 1/2" x 1/2" John Guest tube to hose adaptor to connect a 1/2" hose to a 1/2" push-fit connection. 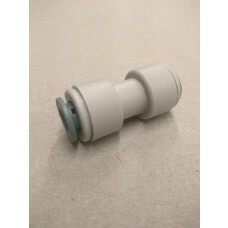 Commercial grade Equal Tee fitting, ideal for splitting your gas line to supply more than one keg. 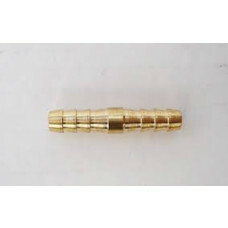 Commercial grade Equal Straight Connector, ideal for joining two 5/16" tubes together. 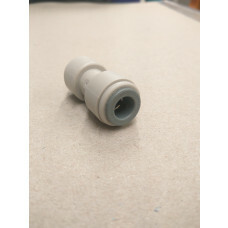 A 5/16" x 3/8" John Guest straight connector to connect a 3/8" tube to a 5/16" tube. adaptor 5/16 x 1/4 bsp. 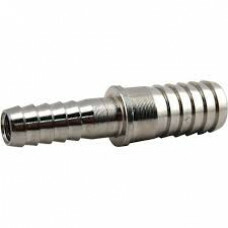 This handy ball lock post fits both gas and liquid ball lock connectors, and is compatible with standard cornelius type kegs. This can be really handy for daisy chaining beer kegs together and for many other reasons. It's also handy if you want to be able to push gas down your dip tube to make your kegs carbonate faster.